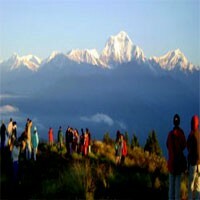 If you are planning a trek to the Everest region and no idea about the Everest region trek packages and more. Here we try to solve your problem somehow. You can find some frequently asked questions by the Everest visitors. Please read these tips before the Everest region trek. The world’s highest mountain Everest (8848m) above is the sea level is in Nepal. Thousand of climbers climb this mountain every year and lots of trekkers visit its base camp. How many trek packages are in the Everest region? There are 7-8 trekking packages in the Everest region like Everest base camp trek, Everest base camp Cho La pass trek, Everest high pass trek, Gokyo lakes trek, Everest panorama trek, Jiri Everest trek, Renjo La pass trek, and Salleri Everest base camp trek. 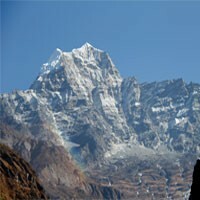 Some Everest trek itineraries are adventurous and some are a non-adventurous trek. When is the best time for the Everest trek? We recommend the Everest trek from mid-September to May because these months have good visibility, clear Mountain View, normally no problem to the Lukla flight. November to February will be freezing cold so take very warm clothing with you and other times also are cold but not as these months. From June to the mid-September is mostly rainy season so this time is not recommended. What is the shortest Everest trek package? Everest panorama or Everest view trek is the shortest Everest trek to see the highest mountain in the world. It is a week Everest trek. How difficult is the Everest trek? 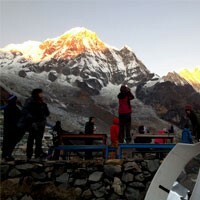 The Everest view trek is one of the short and easy treks in the Everest region trek. Everest base camp and Gokyo lakes treks are the moderate treks and the others are adventure Everest trek. How much does it cost for the Everest trek? It depends on the service type, packages, and the days. Everest panorama trek is the cheapest trek then other because it is a short Everest trek. Normally for the packaged Everest trek costs 1000 USD to 1500 USD with the lodge, food, entry fees, flight tickets, and the field staffs. Where does the Everest trek start? There are two different ways to enter to the Everest trek. Entering with a flight to Lukla is the fastest and easier way to start the Everest trek and Driving to Jiri and Salleri is the secondary and the long way to enter to the Everest trek. If you have a long holiday and scare with the flight to the mountain, the driving can be better and if you have a short holiday and would like to visit faster to the base camp take a flight to Lukla. How safe to fly to Lukla? It is a safe flight to Lukla except for some unexpected result. Normally if there is not good visibility the flights are delayed or cancelled and the pilots who are filling the flight schedules to Lukla, are very professional with excellent flight experience to the mountain. What do I need to bring to the Everest trek? Regular trekking equipment is compulsory for the Everest trek. The gear list to the Everest trek depends according to your trekking package which you can find on our web page in the Everest trek equipment list. What is the weight limit for the Lukla flight? 15kg including your hand luggage is allowed for the flight to Lukla. If you have more than 15kg, you need to pay extra according to the airline price code but we recommend not to take more than the normal weight allow otherwise you may flight and your luggage may leave in Kathmandu. How is the weather condition of Lukla airport? Normally, After mid-September to May will be clear in the morning and windy during the day so the most flights are in the morning but the regular flight schedules can be cancelled even during these months according to the weather condition. How is the facility of the lodge and food in the Everest trek? The lodges are nice and clean with private room everywhere in the Everest region trek and the foods are chosen able western and local food from the menu which is cooked by basic trained cooks. Do I need to buy mineral water in the Everest trek? You can buy the mineral bottled water everywhere but it may be a bit costly. If you take water purification tablets, you can fill your bottle and use the pills. You must have 2 bottles with you for this because you have to wait at least 30 minutes to drink after using the pills. You also may buy boiled water and don’t use purification tablets. Is the altitude sickness big problem for the Everest trek? There is not the big problem of the altitude sickness for the Everest trek normally except for some people. You can find more detail about the altitude sickness and how to prevent and what are the symptoms here please click on this link. What should I do if I have altitude problem in Everest trek? Descend to the lower elevation as soon as possible is the smartest idea. If you cannot walk and suffer hard, emergency evacuation is recommended and admits in the hospital in Kathmandu. There is no good hospital in the Everest region. Do I have to buy travel insurance for the Everest trek? Yes, having the travel insurance to the Everest trek is compulsory. Every time should not be the normal situation and you are going to the higher elevation so if you got the problem of the altitude and any other accidents then you might be the response if you don’t have a good insurance policy. What are the attractions of the Everest trek? Everest Mountains are the main attraction of the Everest trek. Besides the mountains, the glaciers, valleys, flora, fauna, Buddhist monasteries, Stupas, rivers, waterfalls, green hills, Sherpa traditional houses, their culture, daily lifestyle, and much more attractions are here in the Everest trek. How much extra money do I have to take to the Everest trek and can I use other currency there? If you are in a packaged trek, you only need to have extra money for your drinks, sweet items, and snacks then take around 2000NPR per day for your expenses and some tips for the porters and last night celebration at Lukla. If you are not with the packaged trek, take around 4000 NPR and extra tips for the staffs. You may take USD or other currencies which the Nepalese government accepts to the Everest region and exchange them but you may not get good exchange rate over in the mountain area. How is the transport service in the Everest region if I can’t walk? Somehow, if you are with a group join trip and can’t follow to the group with some issues, get sick, injured, and the other problem is facing during the trek, you may hire a horse for a couple of hours, day or multi-day but it may cost expensive around 120 USD per day. What should I do if I stuck in Lukla because of the bad weather? There are the services providing to fly back to Kathmandu by different helicopter companies and charges you an extra amount. The cost of the helicopter may be in certain conditions like if there are other passengers to join might be cheaper and if not group you need to take private which may be expensive. You can consult with your guide at that time. Of course, the cost of taking a helicopter is unexpected expensive sometimes. If you didn't find the question that you would like to ask, please feel free to aks to us in info@frolicadventure.com.